Dr. J.L. Huffer has been practicing veterinary medicine in the area for over 30 years. He graduated from Purdue University with his Doctorate in Veterinary Medicine and from IU Bloomington with his Bachelors. Dr. Huffer is a member of the American Veterinary Dental Society, the American Veterinary Medical Society, the American Animal Hospital Association, and the Indiana Veterinary Medical Association. He and his wife have two grown sons. His area of interest is veterinary dentistry and he is expanding the dental services at Family Pet Health Center. As well as offering cleanings and treatment of periodontal disease, Dr. Huffer is able to offer periodontal surgeries, complicated tooth extractions, intraoral radiology, root canals, orthodontics and much more. Aside from Dr. Huffer’s veterinary interests, he also enjoys bicycling and Irish music. Dr. Mathew Rock graduated from Washington State University with a Masters of Science in Animal Science / Nutrition in 1998 and a Doctorate of Veterinary Medicine in 2002. His areas of interest are internal medicine and soft tissue surgery. He has experience working on both large and small animals. Most recently Dr. Rock has attended Purdue University’s Fall Conference for continuing education. In his spare time, he enjoys fishing and hunting. 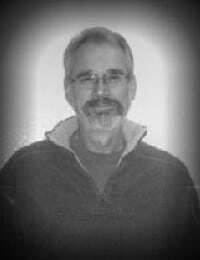 Dr. Rock lives on a small sheep farm in Lakeville, Indiana, with his wife and six children. Dr. Stephenie Rensberger graduated from Purdue University in 1991. She has been practicing at FPHC since 2001 and became a partner/owner in 2008. Her areas of interest are holistic medicine, soft tissue surgery, and internal medicine. She is a member of the AVMA, AHVMA, IVMA, MVMA, AASRP. She and her husband live on a farm west of Rochester. They raise Gelbvieh beef cattle, Boer goats, and hay. They also have several dogs, including two Great Danes, cats, and horses. She enjoys gardening, reading, and art. She is very involved with 4-H and FFA. Chelsea began her career at Family Pet Health Center in April of 2015. She has lived in the South Bend area all of her life and loves it! She graduated from IUSB with a Bachelor’s degree in Education but found her way to the veterinary field after working in management for several years and hasn’t looked back. She and her husband , Jeff, have a son, Emmett, and a terrier mix, Lulu. She loves being a part of the FPHC team because she enjoys serving people who love their pets and she gets to work with an amazing, talented, and compassionate group of people. In her spare time, she enjoys playing with her son and dog, walking nature trails, board games, crafting and reading. Barb started her career with Family Pet Health Center in 1977 as a kennel attendant. She knew at an early age that her life would always revolve around animals! She lives on a farm in Bremen with husband, Dave. They have a menagerie of pets which includes four dogs (three Labrador Retrievers and a Golden Retriever), four cats, two horses, five goats, three llamas, and a mule. Her hobbies include tending to her animals, gardening, embroidery, and spending time with family. She and Dave are active church members and die-hard Cubs and Notre Dame fans!! Kim started her career in veterinary medicine in 2008, after being in the retail field for fifteen years. She finished her Certified Veterinary Assistant Program through Penn Foster in 2012. She joined the Family Pet Health Center family in the fall of 2015, and has loved every minute of it. She is thankful for the opportunity to continue her education by attending conferences throughout the year. Her interests include holistic medicine, hospice care, and ultrasound. She has been married to her husband, Andrew, for twenty-seven years. She has three very spoiled and sassy cats: Ava, Kahlan, and Arya. In her free time, she enjoys cooking and reading. Mindy graduated from Purdue University in 2005 with a Bachelor’s degree in Animal Science. She continued her schooling at Purdue and became a registered veterinary technician in 2006. Mindy has worked in the veterinary field since graduation, and she joined FPHC in July of 2011. Her interests include holistic medicine and client education. Mindy and her husband, Ben, live in Warsaw with their 3 dogs: Moises, a Beagle, Marlin, a Foxhound, and Parker, a German Shepherd mix. Outside of work, Mindy spends her time with friends and family. She enjoys mountain biking, hiking, softball, and drawing. Samantha was born in the Chicago, IL, area, but raised here in the South Bend area. Her mom raised her as a single parent and times were rough growing up, but it made her the strong person that she is today. As a child, she knew she was going to have a career in the veterinary community. In 2011, she graduated from International Business College of Fort Wayne with an Associate’s Degree in Animal Science. She started her career at Family Pet Health Center in April of 2015. Samantha is married to a wonderful man named Eddie – they are high school sweethearts! They currently have four cats that are their children and they spoil them rotten. They spend most of their time working on their fixer-upper of a house and Samantha’s personal hobby is photography. She truly enjoys her time here at FPHC. She loves the bond we share with the community and looks forward to many more years of service to the River Park area. Summer is a registered veterinary technician having graduation from Brown Mackie College. She started working at Lakeville Veterinary Clinic in 2009, with Dr. Huffer, and began working part-time at Family Pet Health Center in 2010. As of 2015, Summer works full-time at Family Pet Health Center. Like many of her coworkers, Summer has loved veterinary medicine since she was very young. She thinks that many of us would agree that you don’t necessarily choose veterinary medicine, it chooses you. She started working with Dr. Huffer at his Lakeville practice in 2009, and quickly fell in love with the job. He introduced her to veterinary dentistry right away as it is a big passion of his. It was amazing to witness the difference that you can make for a pet’s overall health and how they felt within a day. Dental disease is a huge problem in the pet community and one of the most commonly diagnosed diseases amongst our patients, especially in the smaller breeds. Summer really enjoys being part of a team that values good oral healthcare and places emphasis on the importance of following through with the recommendations made for our patients. She has seen pets that have come in acting tired and worn out who leave acting like a much younger dog within the same day by simply treating their periodontal disease. Sending patients home looking and feeling (and smelling) better than they came in makes for a very satisfying work day. Summer lives in Lakeville with her husband, Tyler, and three children, Vera, Evelyn, and Montgomery. They also have a hound mix named Honey. They enjoy spending time outdoors, doing art projects, and having family game nights. Ashleigh graduated from Purdue University with a Bachelor’s degree in Veterinary Technology in 2014. She is originally from Lafayette, Indiana. She and her fiance, Eric, moved to South Bend in 2015. They moved here with their first dog, Dakota, and adopted Their second dog, Daisy, soon after moving to South Bend. Outside of being a technician, Ashleigh spends a lot of time outdoors with her dogs and teaching group fitness classes at the YMCA. She loves being a technician and her goal is to provide our clients with the level of care and love for their furry family members that she would expect for her own pets. Kelly graduated from Purdue University – Boiler up! – and has been a Registered Veterinary Technician for eight years. Kelly loves being a voice and an advocate for those who don’t have a voice and can’t advocate for themselves. She decided to change her path in veterinary medicine and landed at Family Pet Health Center as a Customer Care Specialist. She and her husband live in Osceola with their cats, Marlin and Sunny, dog, Tobie, and Leopard Gecko, Elliott. Kelly is a total cat fanatic and loyal Purdue fan. She loves to read, shoot at the range, be with family and friends, and travel to the Caribbean. Aubrey began her career at Family Pet Health Center in September 2017 after completing two months of externships here. After working in human medicine and customer service, she decided to go back to school at the age of 21 for a career in animal medicine which is a perfect fit for her. Her favorite thing about working at FPHC is the close relationships that we are able to establish with each other, as well as with our patients and clients. Aubrey feels that every day is rewarding when you are working with great people and doing something you love. Outside of work she enjoys spending time with her family and her two spoiled dogs, Bean and Skip. She likes camping, hiking, and just about anything else outdoors! Kelsey has been with Family Pet Health Center since May 2015. She has two Corgis, Elle and Liam, a terrier mix, Max, and one rabbit, Chandler. In her spare time, she enjoys playing with her dogs and being outdoors in the summer. Maribel’s interest in animals began when her family got a cockatiel, Paullie, when she was young. She ended up being the one who took care of him. The same thing happened with other “family” pets they were given. She realized she really liked having the responsibility of caring for our pets. It taught her a lot growing up and she became interested in medicine. She earned a Bachelor’s Degree in Biology/Pre-Vet from IUSB in 2014. She decided to take a year off of school after graduation to figure out what she was doing next. She got a job at Family Pet Health Center as a kennel assistant and typing up medical records. Then, Dr. Stephenie offered her a job as a veterinary assistant in 2015. She enjoys helping the doctors care for our patients. Her old man, Paullie, is not his late teens. She also has another cockatiel and Miniature Schnauzer named Indy who likes to go hiking. Darcie joined the Family Pet Health Center team in December 2018. She started working with animals in 2003 when she volunteered at a local humane society in Michigan. She then became a staff member and really enjoyed the medical aspect of working with animals. From there, she started working at a veterinary clinic and has since been providing patients and clients with the care that she would want for herself and her fur babies. Darcie has three cats (Soprano, Carmella, and Munch) and two dogs (Bucket and Titan). She also really enjoys bottle feeding kittens and raising them if need be. Ali joined the Family Pet Health Center team in January 2016. She has lived in Michigan all of her life and went to the University of Notre Dame for her bachelor’s degree. 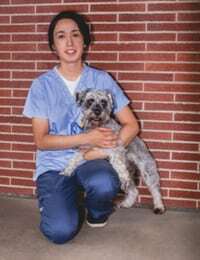 After graduation in May 2016, she began school at the University of Illinois College of Veterinary Medicine working towards becoming a veterinarian. She’s known since she was a child that she wanted to be a vet. She always valued the compassion the vets showed to her pets and 4H animals growing up, and she strives to do the same as a veterinarian! She enjoys gaining clinical experience and learning how to best care for your pets. In her spare time, she loves camping, kayaking, and spending time with her family and her cat, Osiris. Gabi started her career at Family Pet Health Center in October 2017, but her relationship with us started in 2014 when she moved to the area. Being a client at FPHC sparked her interest in veterinary medicine, and when the opportunity arose to join the team, she jumped at the chance to learn from the dedicated staff that had taken such great care of her pets. Gabi has two cats at home, Loki, an eight year old Bengal, and Luna, a three year old Calico. She enjoys reading, cooking, kayaking, and yoga. She also loves to travel and to spend time with her husband, family, and friends. She has a goal to return to school to become a Registered Veterinary Technician. Haley started working at Family Pet Health Center in September 2017. She has an Associate’s Degree in Science from Lake Michigan College and attended Baker College of Muskegon for a short time to take Veterinary Technician classes. She is from Michigan, but was drawn to the FPHC and its values and decided to make the drive to the clinic daily. Haley would like to continue her studies and become a Registered Veterinary Technician. In her spare time she enjoys spending time with her animals, which include Daisy her Chocolate Lab, Emmy, Bonnie, Ava, and Arrow her cats, Marvin and Mehlman her rats, and Alex her husband. Maddie began working at Family Pet Health Center in August 2018, shortly after moving to South Bend from Columbia, Missouri. Born and raised in Southern California, she has always known that she wanted a career working with animals; she loves being able to provide them with care and protection. Her interests include holistic medicine, nutrition, raw feeding, and wildlife conservation and she is hoping to go back to school to study animal sciences in the near future. Maddie lives with her husband, Stu, long-haired dachshund, Rickey Henderson, and three cats, Kaman, Wilberforce, and Fred Savage (who was adopted from FPHC). On her days off, Maddie enjoys volunteering with the zookeepers at the Potawatomi Zoo, reading true crime novels, watching SVU reruns, drinking wine, and going road trips to see MLB, NBA, and NHL games. Jessica joined Family Pet Health Center in September 2018. She has a deep love and compassion for animals; it started as a young child with her first kitten and rescuing the neighborhood animals and developed into a lifelong passion for working with animals. Jessica has worked for rescue organizations and veterinarians from South Bend to Seattle and back again. She currently lives in South Bend with her husband and two sons. She has a boxer mix named Charlie and three cats named Virgil, Petunia, and the naughty cat that eats everything he shouldn’t: Frank. In her spare time, Jessica enjoys crafting, gardening, traveling… and beer. Kathy joined the Family Pet Health Center team in June of 2018. She has worked in the veterinary field helping pet owners for more than 20 years. Assisting pet parents with questions about products and care is what she loves best! She is always pleased when someone calls us for answers to their questions. She shares her home with nine of her most favorite felines. When it comes to their care, complete and accurate knowledge is most important to her, as she knows it is to everyone who loves their pets. What started out so many years ago as just an opportunity to work around many animals has evolved into a passion to deliver sound information to those who seek it. When she is not entertaining her clowder, she enjoys creative time making glass art and maintaining her garden oasis. Beverly has been a kennel attendant with Family Pet Health Center since 1994. She truly enjoys taking care of the animals at the clinic. She has two dogs and three cats at home of her own. Toby Joe and Lexie Louanna are both rescued dogs; they share their home with three feline friends: Kate, Ringo, and Sir Hobo Pumpernickel. In Beverly’s spare time she enjoys yard work, fishing, traveling, and going to car shows. Max has been a kennel attendant at Family Pet Health Center since June 2017. He is a junior in the International Baccalaureate program at John Adams High School. He enjoys all animals, but is a dog lover at heart. He has two wonderfully ornery dogs of his own: Millie, a beagle/hound mix and Brutus, a rat terrier (both were rescues). In his spare time, Max plays the drums for his school and is a percussionist for The South Bend Youth Symphony Orchestra. He is on Adams’ mock trial team and in the summer he will be a Counselor-in-Training at YMCA Camp Eberhart. Additionally, he plans to pursue a career in medicine. Stephanie started with Family Pet Health Center in February of 2011. When she is not busy caring for the animals here at the clinic she enjoys traveling, wine, organic gardening, cross stitching and listening to music. She has a Guinea Pig named Wilber and A LOT of cats at home! Rachel joined the Family Pet Health Center team in September 2018. She is a Mishawaka native. She lives with her husband, Sean, and her three cats, Dizzie, Chi, and Schrodinger. She realized her love for animals in 2011 when she started working for the local animal shelter. Rachel is 100% a crazy cat lady. During her free time, she likes to practice makeup artistry, play video games, crochet, and watch tv shows while cuddled up with her cats. Mariah started working at FPHC in May of 2015. She grew up in Three Rivers, MI and moved to the South Bend area in 2009. She volunteers and fosters for a local animal rescue group and is going to school at IUSB for a major in Women’s and Gender Studies. She likes to read and write in her “free time”. She also enjoys cuddling with her 8 cats(Big Boy, Suki, Banshee, Gypsy, Piggy, Little Man, Bubby, and Roman), her dog (Dobby), and her bunny (Clayton). Bekah joined the Family Pet Health Center team in March of 2018. She began as a kennel attendant, the transitioned to a data entry role. She enjoys her position because she gets to learn more about animal health first-hand. At home, she has three cats and one dog that she loves spending time with.